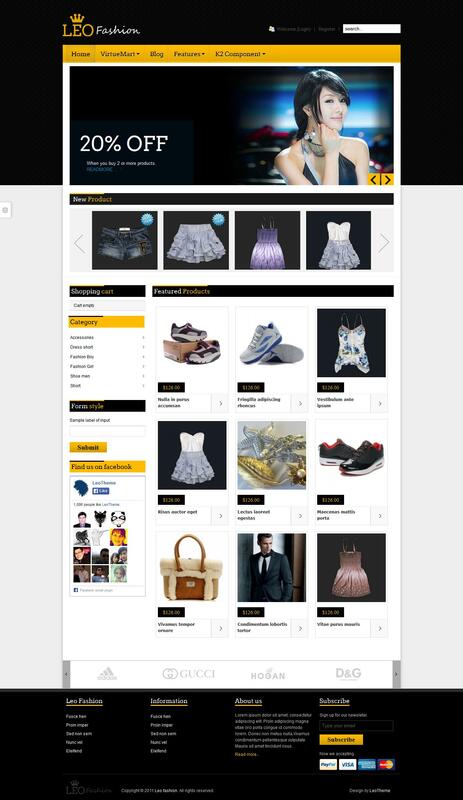 Leo Fashion - elegant template internet - shop based component Joomshopping, designed by professional designer studio LeoTheme. The original design layout that includes 4 color schemes (blue, red, green and purple), perfect for creating websites selling fashionable clothes and branded footwear. Through the use of all the possibilities of functional platform T3 Framework, pattern peculiar fast page loading speed, good optimization in general, as well as support for various mobile devices. Having a built-K2 component integration and support additional styles to it significantly increases the chances of a template.